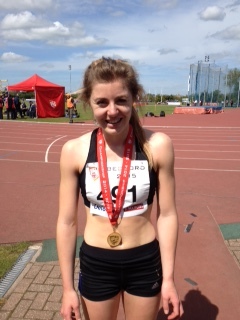 Katie Ingle finished off a great weekend for the club winning a gold medal in the 2000m steeplechase at the British Universities Championships at Bedford. She led from gun to tape winning by a massive 16 seconds. The winning time of 6.43.13 is both a PB and new club record. Well done Katie!